Undoubtedly a phenomenal addition to any player’s kitbag or friend on court those prefer Head heavy Racket, the Yonex Nanoflare 370 speed badminton racket ensures excellent playing characteristics and feel by combining improved power generation and consistency with an isometric head, as well as impressive maneuverability and speed due to a Control Support cap. The racquet is designed with Nanocell Neo technology for added flexibility and strength of the frame, whilst the AERO frame construction aids the stroke speed by reducing air resistance substantially. Nanoflare 370 having a Stiff Flex and contains Ex-HMG in the frame which is considered as flexible and powerful material, allowing it to flex on impact and repel the shuttle with explosive acceleration and devastating power. The stiffer frame (giving a harder feel) makes it really suitable for both singles and doubles players. Would suit Intermediate and advanced players looking for the Nanoflare technology under the more friendly package. 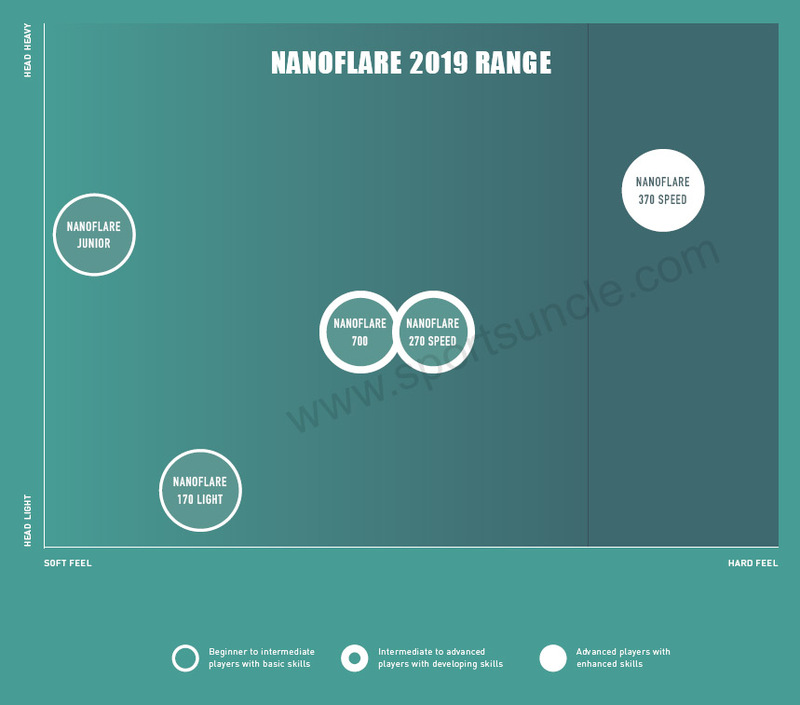 If you are looking for a top advanced model in this series then you can check Nanoflare 700 or if you looking for a racket for beginners then you can go for Nanoflare 170 Light or Nanoflare 270 Speed for intermediate players.